Printed and electronic packages for Request For Proposal (RFP). 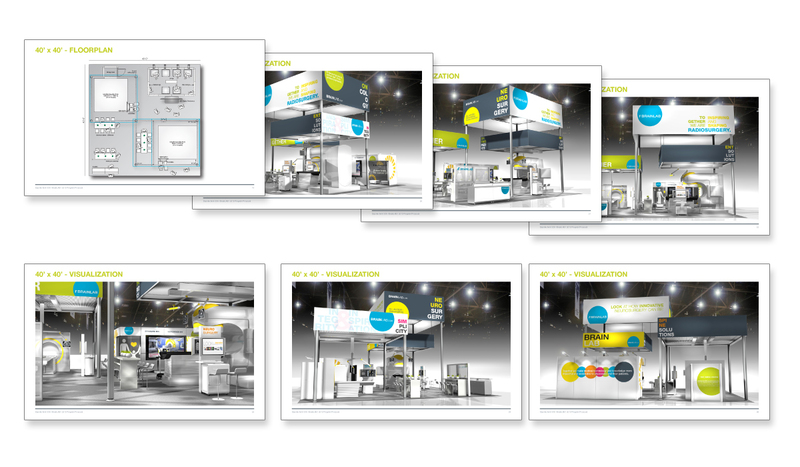 Includes design concepts, inspirational mood boards, story boards, and material boards. 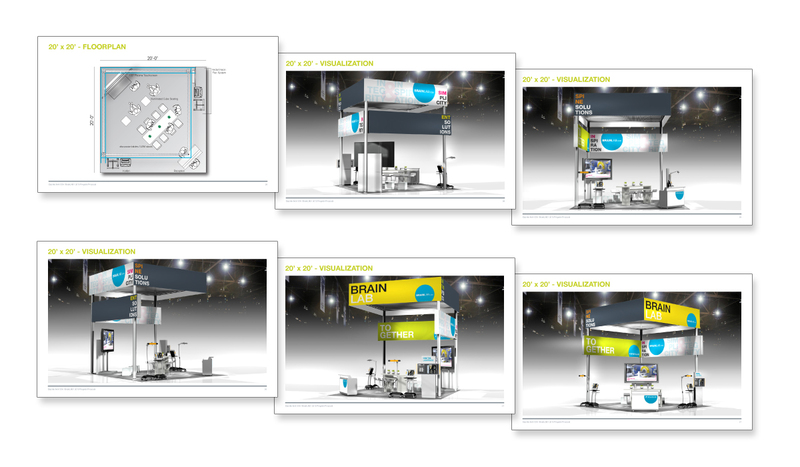 Propose graphic solutions for BrainLab’s request for proposal bid on a trade show exhibit. 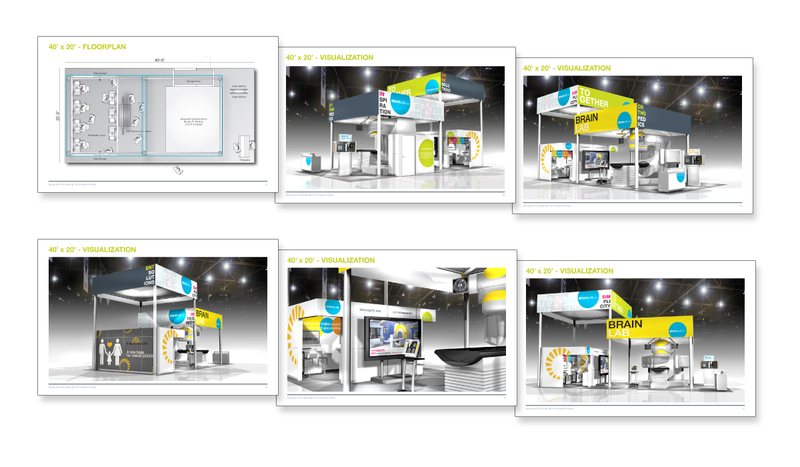 Created an environment that draws attendees’ attention and provides an immersive brand experience once you enter the booth space.